Are you looking for a Modern Home Products dealer in NJ? Modern Propane carries a wide variety of Modern Home Products products in NJ. When you visit us at Modern Propane, our knowledgeable team will assist you in finding what you need quickly and accurately. We carry a large selection of W.W. Wood products to choose from. Our friendly professionals are available to assist you in finding the right item from our expansive inventory at prices within your budget. With Modern Propane, you can rest assured you will receive expert attention and care to get you the W.W. Wood products that you need. Modern Propane specializes in propane tanks. We offer different sizes and delivery services. 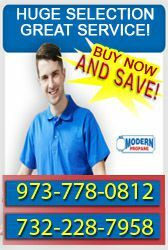 For more information about Modern Home Products dealer in NJ, call Modern Propane at 973-778-0812.